Summer fun resources collections for all! 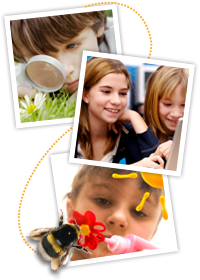 Enjoy the end of term with our great collection of activities, quizzes, games and fun for all. We've handpicked some of the best resources shared by teachers and organised them into helpful categories for all. A series of resources collections full of ideas and inspirations for outdoor learning for Primary and Early Years - Each collection contains teaching ideas and pupil activities, reviewed and recommended by teachers for teachers. Moving to a different school, or even a different class within the same school, can be daunting for pupils, whatever age they are. TESiboard is a growing library of more than 800 highly visual, open-ended, interactive resources, freely available on TES. Teen well-being is relevant year-round, but as they prepare for the excitement of their holidays we've collected some great resources covering major topics for teenagers this summer. A new series of collections for secondary teachers and professionals who work with young people. Classroom management is something all teachers, no matter how experienced, need support with throughout the year. A growing body of advice articles and free resources offering guidance and advice for practical ideas when tackling behaviour and classroom management. The beginning of every teaching career can be a very daunting time, during which questions, uncertainties and stress are a part of the process. To help ease the pressure we have gathered plenty of material as shared by the teaching community on TES, and selected for quality by our NQT specialists. Save time planning with resources collections. Find hundreds of lesson plans, worksheets and activities for all key stages and subjects. Specialist collections offer support for behaviour and classroom management advice, SEN and guidance for new teachers.